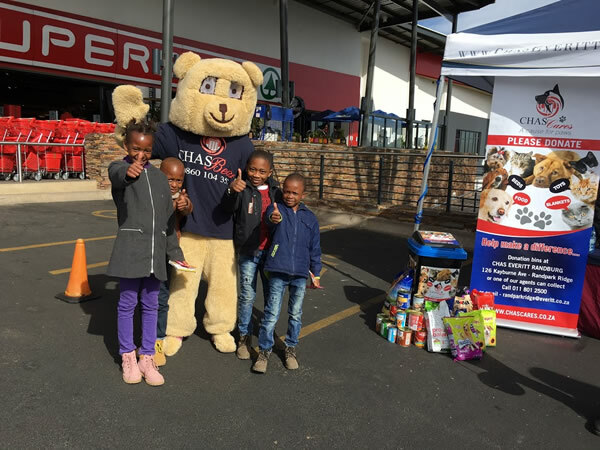 The Chas Randburg team recently held a donation drive outside Honeydew Spar to collect food, blankets and toys to donate to Randburg SPCA. The community opened their hearts and gave graciously to the Cause for Paws campaign, donating a total of 300kg of pet food. The Randburg team decided to donate this on Mandela Day to Randburg SPCA as well as volunteer at the shelter for their 67 Minutes.